We're thrilled to connect with you! ISTE members are passionate about improving education through the innovative and effective use of technology. Access resources, share ideas and connect with like-minded educators on specific edtech topics with ISTE individual membership. Working together, we can transform teaching and learning. through exclusive ISTE Professional Learning Networks (PLNs) that offer topic-focused learning opportunities. and other standards-aligned resources to help you effectively leverage technology for learning and teaching. and make lifelong friendships with leadership, volunteer and recognition opportunities. 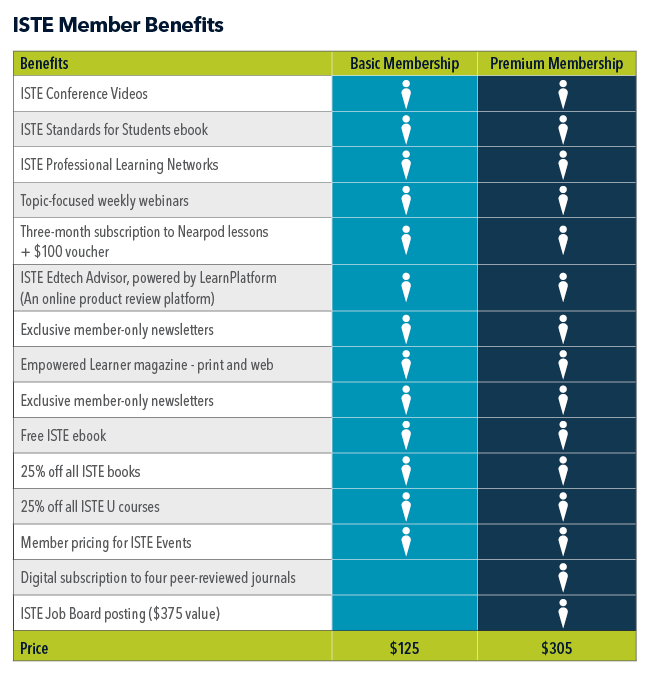 ISTE offers two individual membership options: basic ($125/yr) and premium ($305/yr). Basic members have access to ISTE Standards-based resources, including webinars, white papers and ebooks. They can join any or all of our 22 exclusive PLNs to seek advice on specific topics and contribute to conversations. Discounts in the ISTE Store and on conference registration are also included. Every member receives our quarterly magazine that provides an in-depth look into the issues, practices, policies and tools that contribute to empowering connected learners in a connected world. 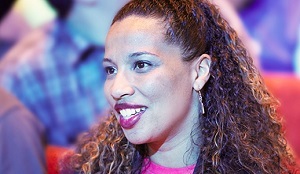 Members also receive access to special limited-time offers from ISTE collaborators, such as free access to Discovery Education’s STEM Connect and Nearpod lesson plans. In addition to these benefits, premium members have access to four peer-reviewed research journals and receive one free posting on the ISTE Job Board.